Tenerife is the second most visited destination, after Florida, for people with reduced mobility, with thousands of visitors every year. So we had high expectations as to what was on offer, and the island doesn’t disappoint. The Cabildo de Tenerife, the island’s government, established the Sociedad Insular de Promoción de las Personas con Discapacidad SINPROMI (Society for the Promotion of Disabled People on the Island) in 1993. The organisation works to create a completely barrier-free society. Their objective: to create the European reference for accessible tourism and culture. 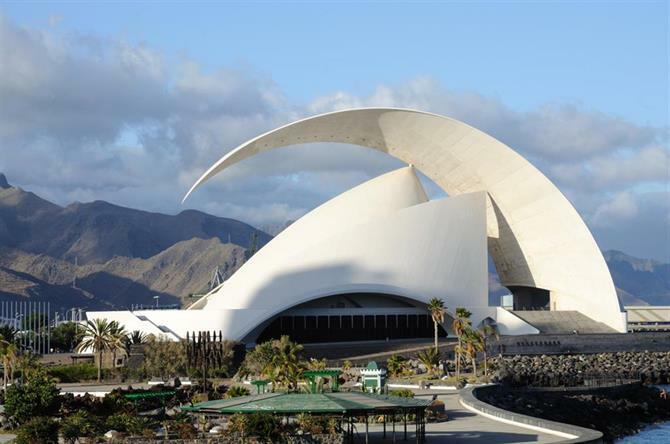 Tenerife has classified all of its facilities and services into three practical classifications, which visitors can refer to for: sightseeing attractions, leisure facilities, buildings, transport, restaurants and more. Accessible: It fits the functional and size requirements which guarantee independent, easy use by those with a disability, mobility issue or communication impediment. Practicable: A space, facility or service that doesn’t match all requirements to qualify as accessible, but it can be used by those with a disability, mobility issue or communication impediment, with the aid of another person. The municipality of Arona covers the southerly resorts of Los Cristianos, Playa de las Américas, Las Galletas and the Costa del Silencio, as well as the city itself, Arona. 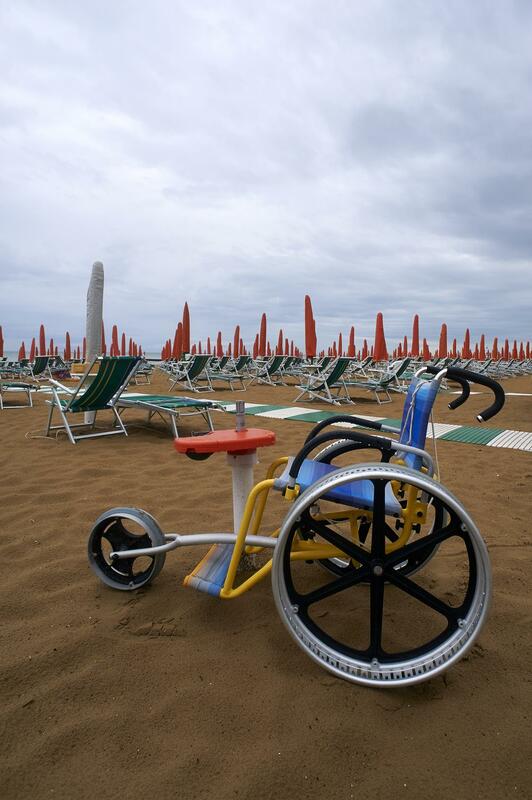 It’s the second most visited destination in the world, after Florida, by tourists with impaired mobility and has won an award for its accessible beach facilities. Arona developed the Integral Accessibility Scheme initiative, covering all types of facilities and services and eliminating architectural barriers in public walkways, public and private buildings, transport, telecommunications and leisure and tourism facilities. 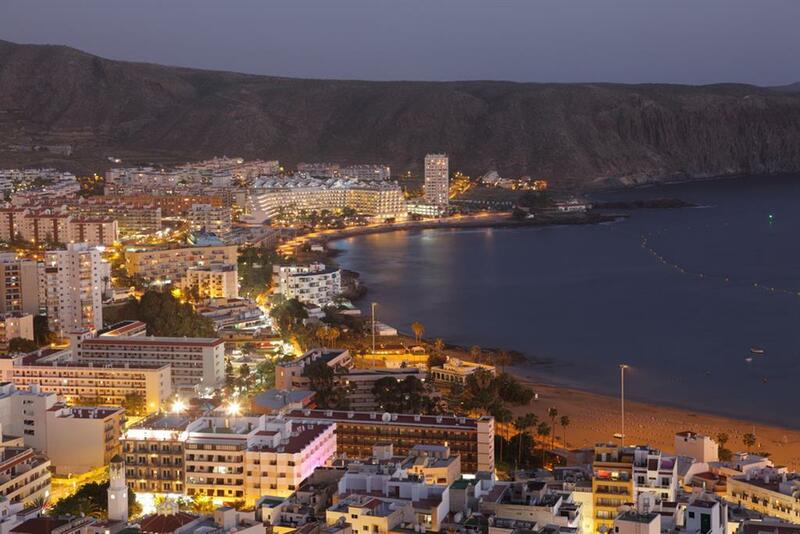 Thanks to ongoing initiatives to create architectural barrier-free towns and cities, main resorts such as Playa de las Américas and Playa de los Cristianos now have a number of obstacle-free public walkways. 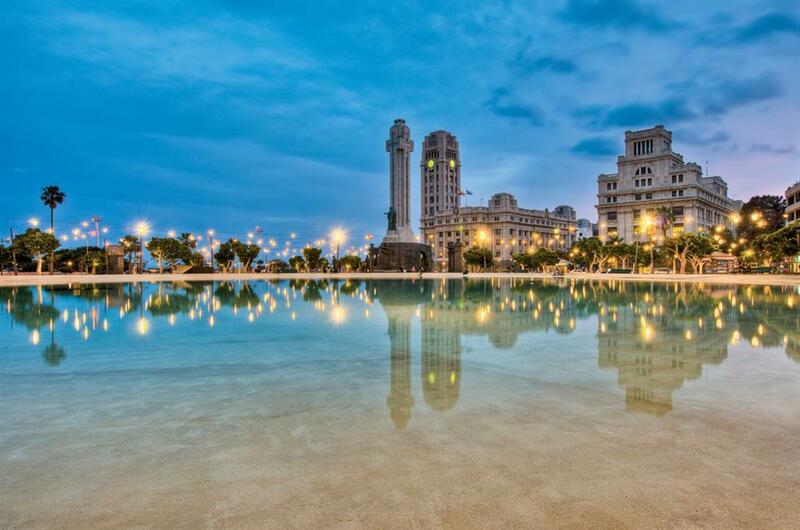 The capital city of Tenerife, Santa Cruz de Tenerife, is jam-packed with cultural, shopping and sports attractions; there’s plenty to do for visitors with disabilities. The city’s wide promenade-style walkways, plazas, open-space gardens and parks, and museums are for the most part accessible. As are the three sightseeing buses, should you want to see the city at a glance. The Universal Accessibility certification credits an organisation with delivering a system that guarantees the same accessibility opportunities to everyone, regardless of age or disability. Tram: Tenerife’s public tram system was the first in Spain to be certified as offering Universal Accessibility. It’s barrier-free starting from the information points, to selling tickets, to transporting passengers. The Tranvia Metropolitan tram system is available in both the north and south of Tenerife. The tram floors and exits are of identical heights to the access from the road and there are reserved spaces for wheelchairs. Buses: The urban bus company Titsa provide low-floor and kneeling buses with continuous floors and electric ramps and buses offering hydraulic wheelchair lifts. The three sightseeing buses in the capital, Santa Cruz de Tenerife, are all accessible. Airports: All of Spain’s airports comply with the European Parliament regulation EC1107/2006 and operate an assistance service for travellers with disabilities. If you require a service you should book it with 48 hours notice. When you arrive at the airport you should either go the agreed meeting point, alternatively find one of the ‘Sin Barrera’ sensory intercom stations and call for help. For further information visit the Aena website. Taxis: There are several taxi companies that offer vehicles with access ramps for wheelchairs. A list of options can be found on the Tenerife Accesible website. Canary Island Car have offices in the north and south and in Santa Cruz de Tenerife. Thanks to the collaboration between Sinpromi and the island’s local councils, Tenerife’s beaches are extremely well-equipped and barrier-free to all visitors. 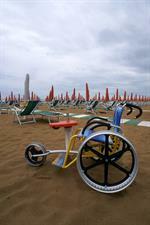 The region of Arona especially, has won an award for its accessible beach facilities. Los Cristianos boasts Europe’s largest barrier-free pedestrian sea promenade, which runs for seven kilometres. It’s beach is completely barrier-free with accessible walkways and routes, wooden fixed and roll-up pathways, entrance ramps (6%), accessible toilets and changing rooms, aquatic chairs and crutches, sea accompaniment and amphibian wheelchair services. Having a disability doesn’t mean you have to miss out on some of the island’s best leisure excursions and sports activities, as Tenerife’s tourist board and local sports projects have worked together to make accessible trips to even the most inaccessible places. Teide National Park: There is one completely accessible route - Roque de Caramujo Path; the Alto de Guamazo path is practicable i.e. it’s accessible with the help of a friend or guide. There are several practicable viewpoints, and the botanical gardens and visitors centre are also practicable. Tenerife’s natural routes and paths: A holiday in Tenerife doesn’t have to stop at the beach and day trips to the coastal resorts and capital. Aside from a trip to the Teide National Park, there are several recommended routes, which take you through some of the island’s most stunning and natural landscapes. And you don’t have to stop there. There are 43 natural protected areas in Tenerife and there is one association working to make them accessible for all. Montaña para todos organises group hiking expeditions for enthusiasts utilising a Joélette all-terrain chair. You will need to book your space, as the routes are extremely popular. Most excursions include transport and insurance. It's also possible to book a private excursion, which can be adapted to your needs. You will need to make your own way to the meeting point, equipment and insurance is included in the cost of the trip. Whale and dolphin watching: The waters around the Canary Islands are home to many species of whale and dolphin, including Pilot Whales and Bottle Nose Dolphins. Boats leave from the port in Los Cristianos, Puerto Colón and the Puerto de los Gigantes (Santiago del Teide), where the cliffs soar up to 600 metres. The scenery is spectacular and to be in the presence of a whale is one of the most awe-inspiring experiences. The spotting boat trips are practicable. Details can be found about the charter trips in the Sinpromi brochure. There is a link to the brochure below in the Recommended Reading section. Sports for all: Swimming, tennis, archery, athletics, fencing and basketball, are just some of the activities offered at Ademi Tenerife, a sports association for the sports people with disabilities, situated in Santa Cruz de Tenerife. Most of the island’s shopping centres are practicable, offering adapted access points, ramps and lifts. The El Corte Ingles department store in Santa Cruz de Tenerife is fully accessible, with adapted toilets, restaurants, lifts to all floors and access to parking. In conclusion, Sinpromi and the Tenerife Island Council are achieving important landmarks in making the island completely barrier-free and ‘the’ reference, not just in Europe, but on a global-level, in accessible tourism. Barrier-free tourist guide to Arona (this takes a while to download, but it's worth it, as there's heaps of information on beaches, attractions, restaurants and more). Check out our Rough Guide to Accessible Holidays in Malaga and The Rough Guide to Accessible Holidays in Barcelona.